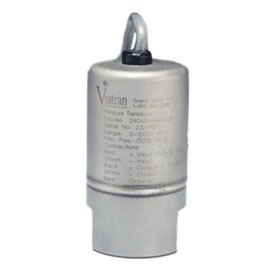 Viatran is a worldwide leader providing innovative pressure and level transmitters. For half a century, Viatran has been solving pressure, level measurement, extreme temperature and fast response problems in some of the toughest application environments. Viatran pressure sensors and level measurement sensors and transmitters are designed for applications such as oil and gas services, steel production, injection molding, die casting, and chemical production. 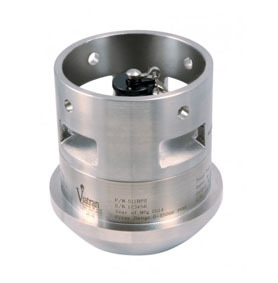 Viatran Model 509 pressure transmitters are equipped with a Hammer Union fitting for use in oil well cementing, fracturing and acidizing. These Hammer Union pressure transmitters have been designed to be accurate yet rugged instruments ideally suited to the harsh oil field environment. Viatran's new Model 511 Hammer Union Pressure Transducer offers superior construction and the rugged performance that we have built our reputation on. This new generation of Hammer Union Pressure Transducers incorporates more user friendly features and optional add-on features than ever before. We've listened to your ideas and have developed the 511 series to fulfill your application needs. Potential applications include Acidizing, Choke Manifolds, Extraction, Fracturing and Cementing,Mud Pumps, New Well development, Nitrogen Injection, Service and Cement Trucks, Standpipe, Stimulation and Well head measurement. Contact our Application Engineers to confirm your choice or to customize the Model 511. A low cost, high performance solution. The Model 247 is a low-cost, rugged pressure transmitter offering you a reliable measurement solution. Viatran products come with a standard of ruggedness that was born from the oil fields. A low cost, high performance solution. The Model 347 pressure sensor is a low-cost, rugged pressure transmitter to provide you with you with a reliable measurement solution. 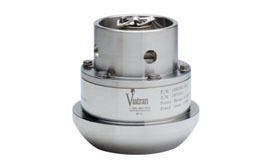 Viatran pressure transducers come with a standard of ruggedness that was born from the oil fields. Viatran's 340 pressure transmitter simple design and proven technology makes it a low cost alternative to other less reliable transmitters. The 340 pressure sensor is designed with the OEM in mind to measure hydraulic pressure in extreme environments and corrosive media. The 340 pressure transmitter withstands cyclic pressure and provides outstanding performance under the severe demands of the industrial market. The small size of the 340 pressure transducer makes it ideal for restricted space applications. The all stainless steel construction is ideal for demanding industrial or heavy duty applications. It is sealed with no adjustment controls, providing a transducer that prevents contamination from the environment. 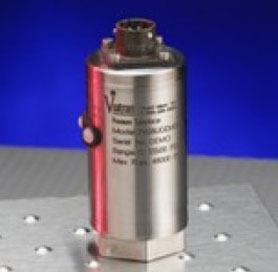 Viatran's Model 345 pressure sensor is among our most accurate high range, pressure transmitters for industrial test and research applications. The 245 pressure transmitter measures gage and absolute pressure from 7.5K to 100K PSI with standard accuracy of ≤± 0.10% FSO (optional to ≤±0.05% FSO).